I think it’s pretty safe to assume at this point that LG is making the next Nexus phone for Google. There have been enough leaks out of bars, the FCC, and even Google’s own campus to leave us with little doubt. The only things we don’t know for sure, are what the name will be and if Google has any tricks up its sleeve to set this device apart from a crowded market with a dozen or so legitimate top tier players. 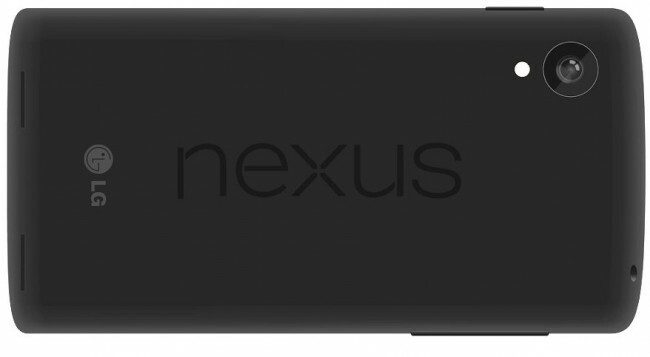 If a recent benchmark through GFXBench is to be believed, the oft-used “Nexus 5” name could at least be correct. In the benchmark listing for a “Google Nexus 5,” we’re seeing a lot of signs that point to this phone being the next Nexus. The “hammerhead” codename that we first revealed weeks ago is present, as is the KeyLimePie reference in the software build that we saw in the original FCC filing last week. 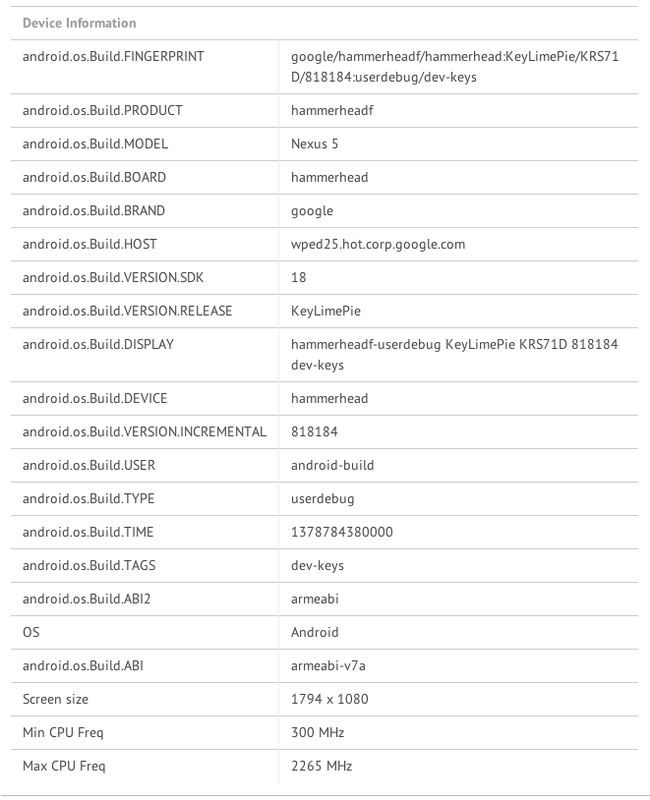 You’ll see a build number for the Android version the device was running of KRS71D, with the “K” referencing Android 4.4 Kit Kat. 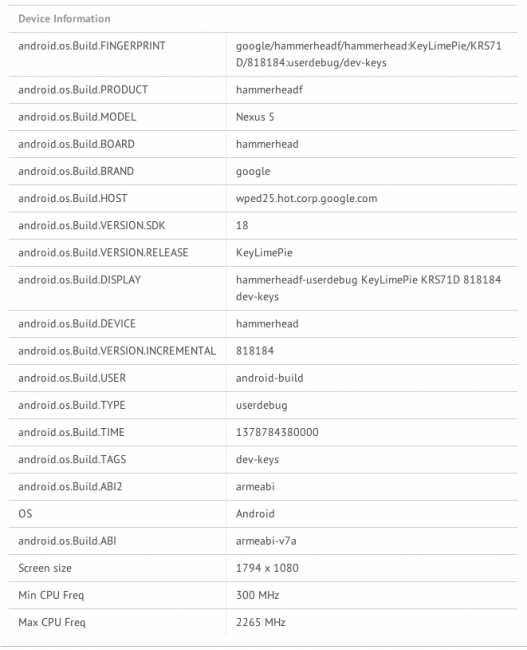 There are “Google” mentions in the build host, “brand,” and build fingerprint. In terms of hardware, this benchmark shows a device running a Snapdragon 800 clocked at 2.26GHz with an Adreno 330 GPU, the same processor and speed seen on the LG G2, which the new Nexus is heavily rumored to be somewhat based off of. The screen resolution shows as 1794×1080, which sounds off, but that’s because the on-screen buttons are reducing the resolution slightly from 1920. Could this benchmark have been faked? Maybe. But GFXBench scores have been incredibly reliable in the past at revealing spot-on information for soon-to-be-released devices, so I would tend to put some weight on this info.